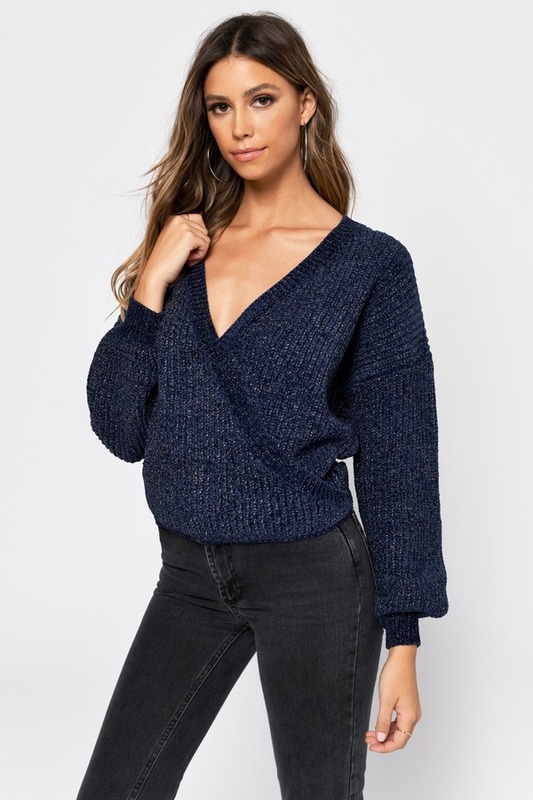 Check out Tobi's Rene Wrap Sweater Stride into winter with the Rene Navy Wrap Sweater. This surplice sweater features a plunging v-neckline, bubble sleeves, wrap construction, and knitting throughout. 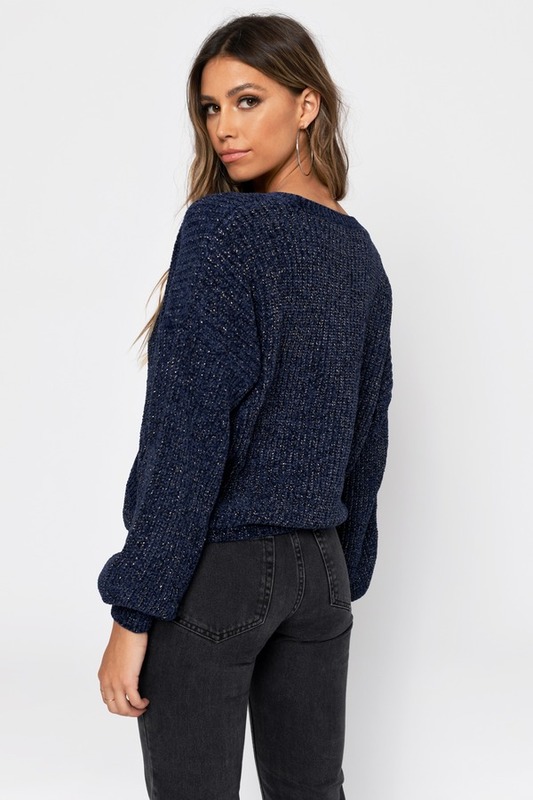 This cable knit sweater will look amazing tucked in high waisted denim and booties.